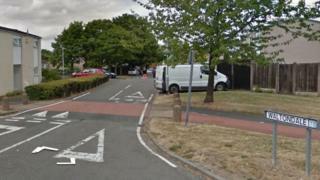 A 16-year-old boy has been charged after a teenager was found with stab wounds. The victim, a boy aged 17, was discovered in Waltondale, Woodside, in Telford, Shropshire, on Monday and has been in hospital with serious injuries. The 16-year-old appeared at Kidderminster Magistrates' Court charged with grievous bodily harm and possession of a knife. He was remanded in custody and is due at Shrewsbury Crown Court on 18 March. Connor Shepherd, 18, of Willowfield, Telford, who was charged with grievous bodily harm and possession of a knife, is also due at the court on the same day. Another man, aged 20, who was arrested, was released under investigation.